Did you know you can now order your Deliveroo takeaway from Cafe Rouge here on View? 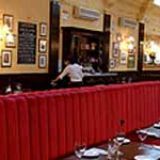 For a fine selection of French wines and beautifully prepared food, then check out Cafe Rouge. It is a well-known chain that prides itself on quality service, delicious food and a warm and welcoming atmosphere. 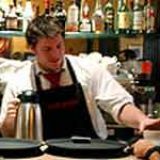 Do you work at Cafe Rouge? 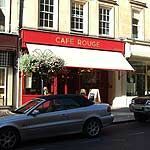 What did you think of Cafe Rouge? 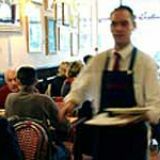 CAfe Rouge is an exquisit place to eat and drink as it is full of really interesting people. People sit and chin way nearly all day as it is so comfy. Situated in one of the grandest streets in Bath, this branch of the chain is also quite different; it is spacious, atractively decorated and comfortable. For pudding, I chose the Tarte au Citron which was nice but not as lemony as I would have liked and an espresso nicely rounded off the meal. The staff are friendly and welcoming and I would certainly recommend this restaurant as one of the better chain restaurants in Bath. Cafe rouge has always been a favourite of mine not only because of the amazing food but also because of the friendly staff. 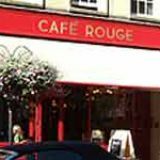 Today though I feel a member of staff Lisa, in Milsom St Bath, went the extra mile as she noticed an elderly lady struggling to pick up her large coffee cup so asked if she would like a straw not only was that customer really pleased but I was impressed with her willingness to help during the busy lunchtime period. Excellent as always.